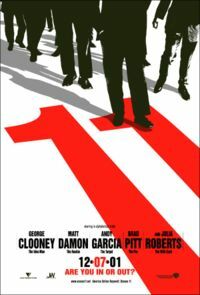 One of the coolest movies released in some time, Ocean’s Eleven contains a cracking ensemble cast in one of the better remakes to hit the big screen. Just released from prison, career thief Danny Ocean (George Clooney), along with right hand man Rusty Ryan (Brad Pitt) recruit a team of professionals to hit three casinos simultaneously, which are all owned by the ruthless Terry Benedict (Andy Garcia). Meanwhile Danny tries to win back the affections of his estranged wife Tess (Julia Roberts). If Ocean’s Eleven could be described with one word, it would be “smooth”. The movie can be broken down into three parts: The recruitment. The set up. And, the take, with Ted Griffin’s script is well written and easy to follow with enough curve balls thrown in the mix to keep you on your toes. 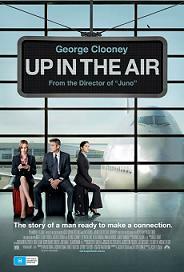 A great scene where Brad Pitt teaches popular TV stars such as Topher Grace and Joshua Jackson how to play poker, only for former TV star George Clooney to join the table and ask if it’s hard to make the jump from TV to film, shows that the cast are not above having a laugh and poking fun at themselves, director Steven Soderbergh capturing the easy going vibe and chemistry among the actors to go along with the well shot Las Vegas scenery. Every character has a purpose and is given quality screen time with Bernie Mac, Casey Affleck, Scott Cann, Eliott Gould and Carl Reiner all giving very memorable performances in minor roles. 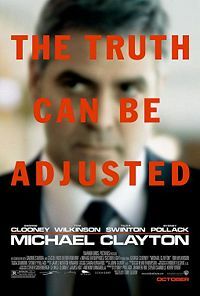 Yet it’s the stars that everyone wants to see and they are all good (to an extent); both Clooney and Pitt give solid performances, Andy Garcia is perfectly cast as Terry Benedict and Matt Damon is good as the inexperienced Linus. However Don Cheadle is a letdown, his overblown English accent a big distraction. Then there is Julia Roberts, who while a very good actress seems to be out of place in a supporting role. A movie where you can kick back and relax watching the stars shine, Oceans Eleven is the type of old school “ring a ding-ding” flick that no one makes anymore. It doesn’t ask much form its audience yet delivers on the most basic principles of pop corn movie making: Be entertaining.